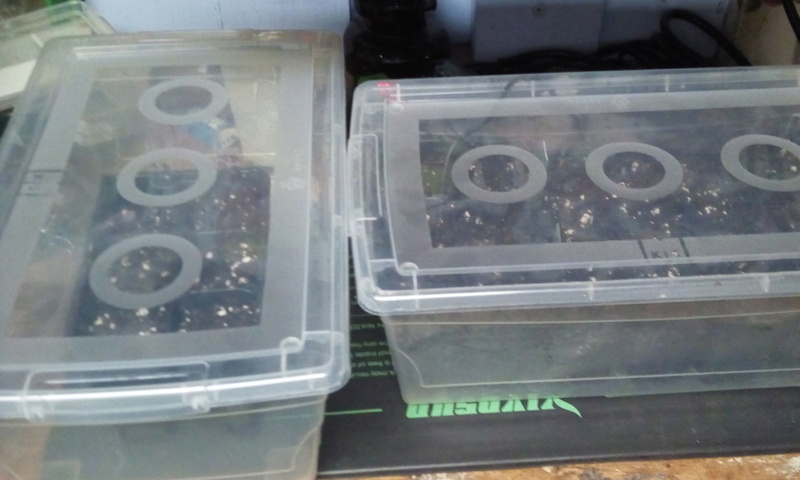 I began my 2019 indoor vegetable sowing today with two containers of Leeks. Looking forward to delicious Potato Leek soup at the end of summer. 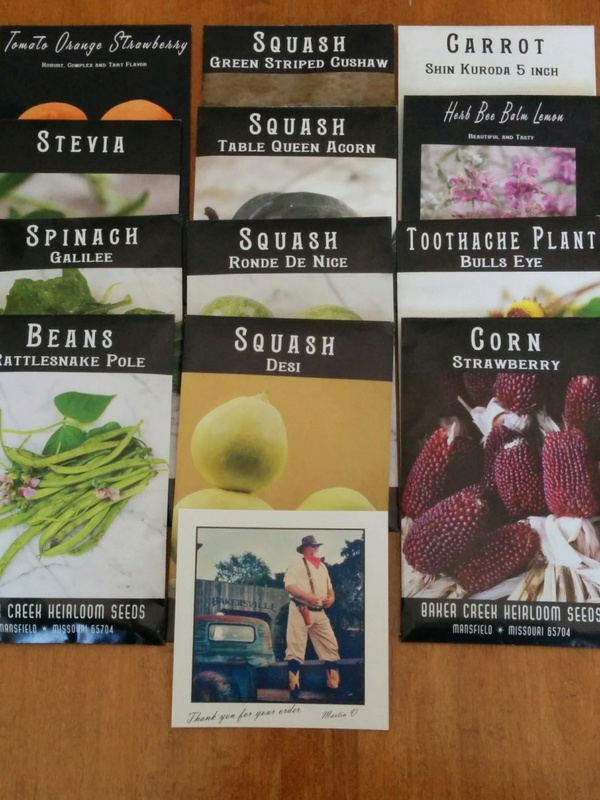 It's a good day when seeds arrive in the mail. 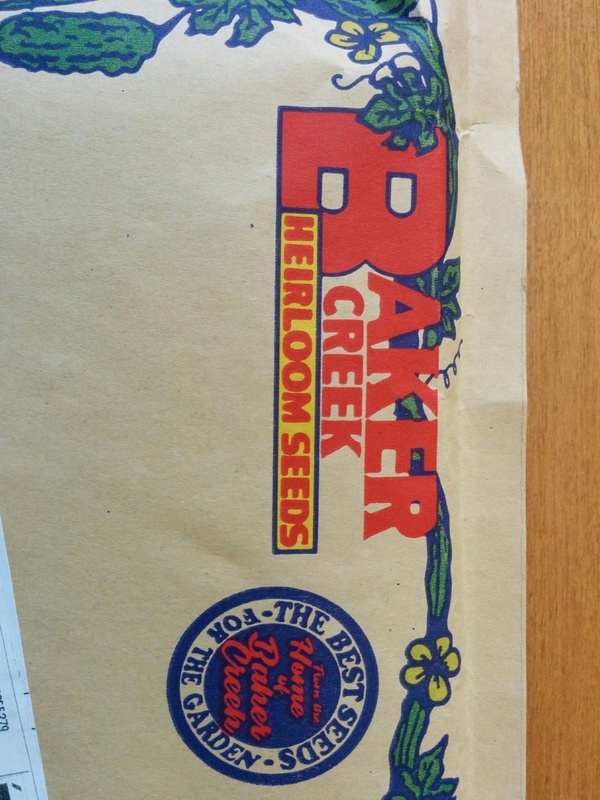 I ordered 10 packets from Baker Creek and they sent me two free packets as well. Plus there was free shipping to Canada. Your description of making Leek soup last year (?) sounded so delicious. Which are the 2 freebies? @sanderson wrote: Your description of making Leek soup last year (?) sounded so delicious. Which are the 2 freebies? The Tomato and the Carrot. 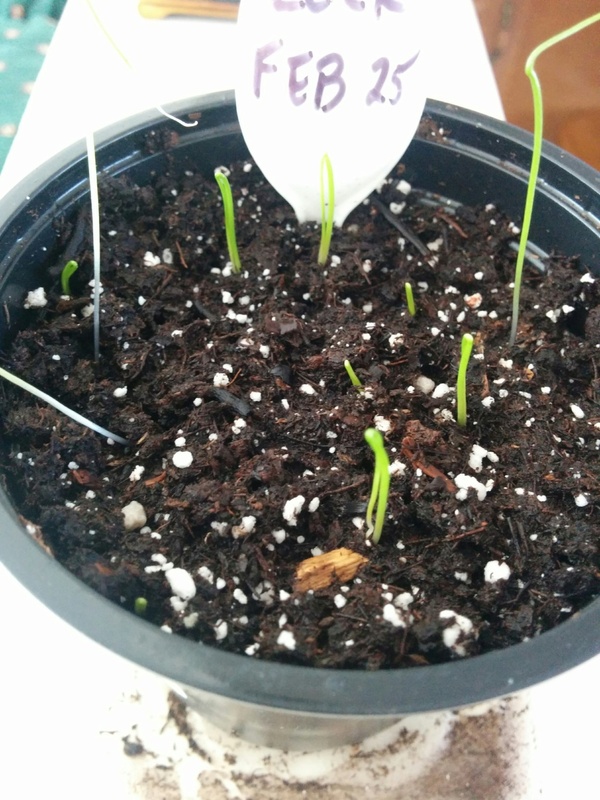 Leeks sown indoors are coming up. Are they under lights? What else have you sown. @sanderson wrote: Are they under lights? What else have you sown. I just have them in the living room right now. 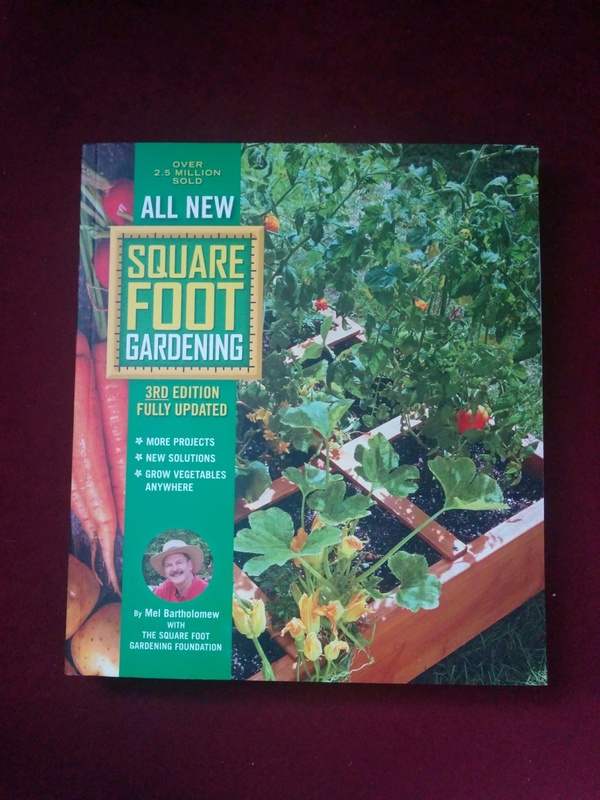 This week I sowed Bunching Onions and Walla Walla Onions. I have them on the heat mat. 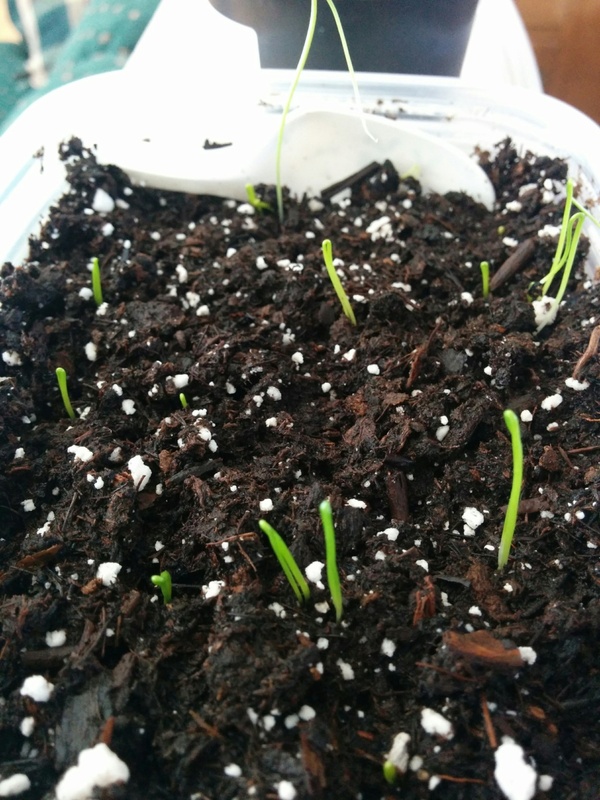 I may try Winter Sowing (outside containers) onions and leeks as an experiment. WAAA! I wanna grow Walla Walla's but our days aren't long enough. Mrs TD and I have been very busy but I managed to squeeze a tiny bit of Winter sowing of Leeks, Onions (Walla Walla) and Annual Bunching Onions using 4 litre ice cream containers. The containers are now outside in the snow. We got a good amount of heavy, wet snow earlier today and now it is raining. Hopefully, this morning's snow storm was the last for this winter. Temperatures are forecast to improve from here on. I think this has been the worst winter for snow, freezing rain, ice and wind that I can remember since we moved to Ottawa 32 years ago. 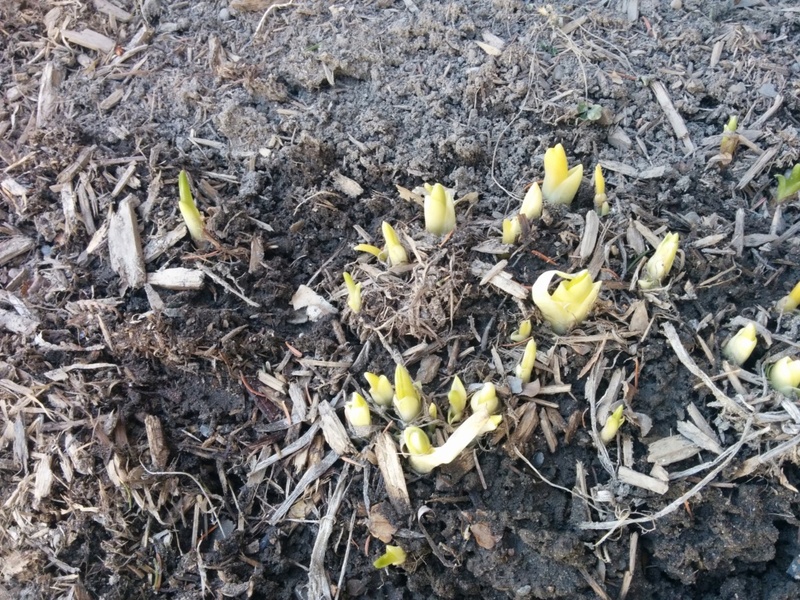 It's also been a long one beginning with a storm in November and no appreciable thawing all winter long. 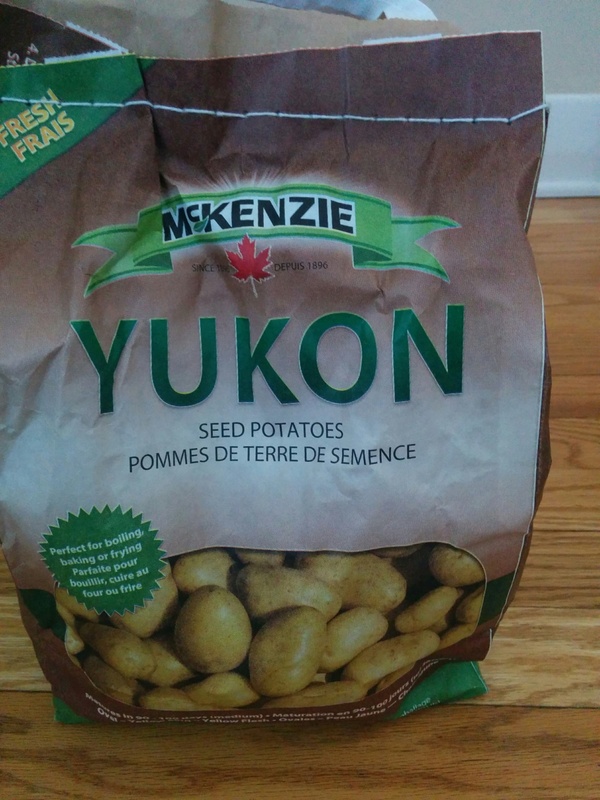 It is way too early but I could not resist buying a bag of Yukon Gold seed potaties when I went by them in a store today. Seed potatoes are out already? Wow. Happy planting. @bluelacedredhead wrote: Seed potatoes are out already? Wow. Happy planting. I am hoping I can keep them in good shape until planting time which looks to be a long way off right now. Like, who has ever gone to the nursery department for one item and left with just that one item? Plus 7 Celsius here today. The snow has been slowly melting but the melt really sped up today. I can actually see the top of one of my two foot high chicken wire cages that sits on a 4x4 SFG bed (centre right in the photo). 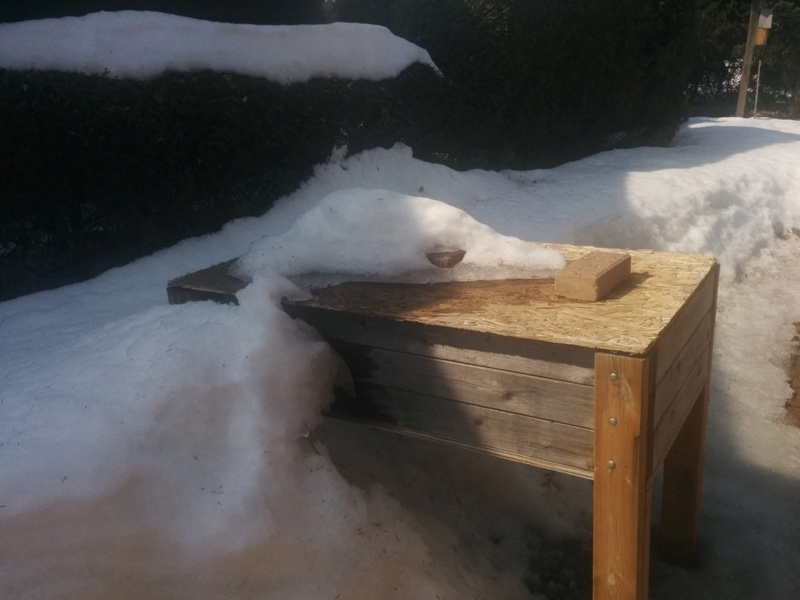 Also the snow is almost gone on top of my Table Top. TD, you can keep that stuff north of the border. @ralitaco wrote: TD, you can keep that stuff north of the border. +1 - I was in a short sleeve T-Shirt today while cutting down my Mustard cover crop. Fail. 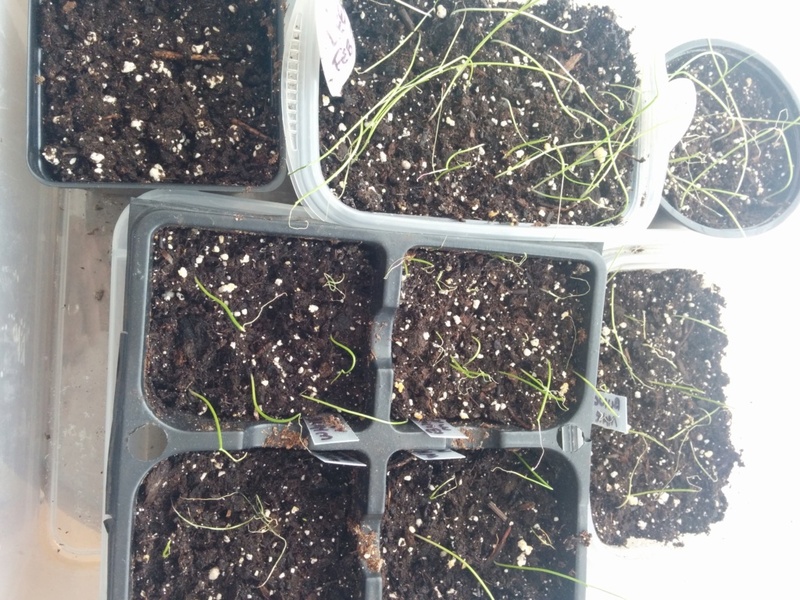 My indoor sown leeks and onions are not doing well. Wondering if it is the potting mix I used which seems to be holding too much moisture or I over watered. Bummer! Mine aren't looking too good, either. 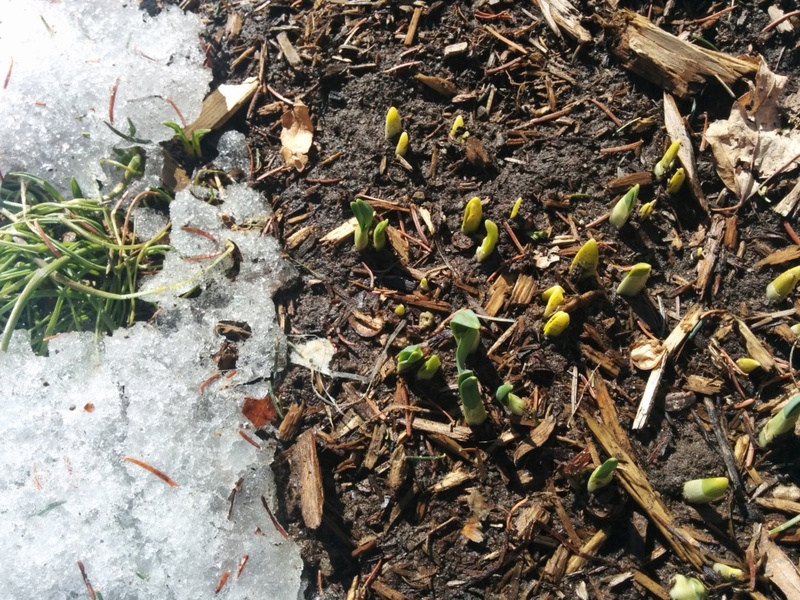 As the snow retreats, the flower gardens at the front of our house are showing signs of life. 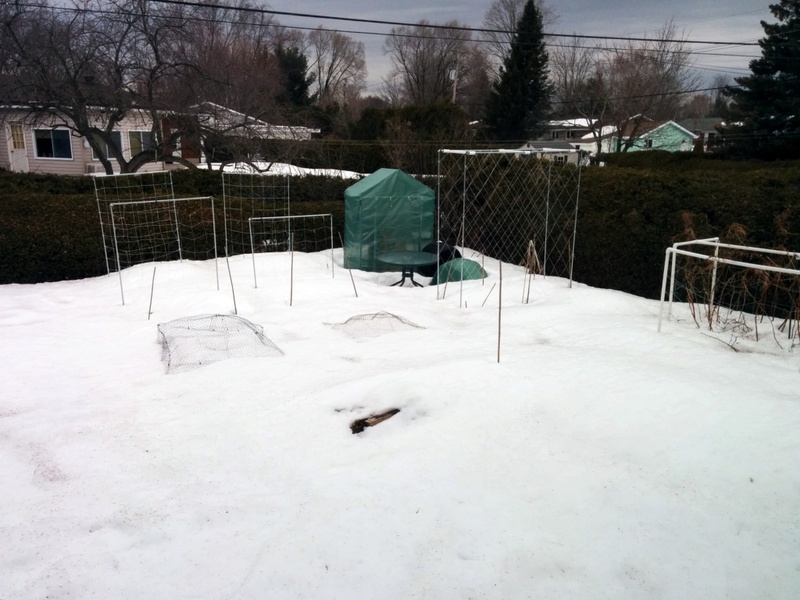 As the snow retreats more of the garden becomes visible. 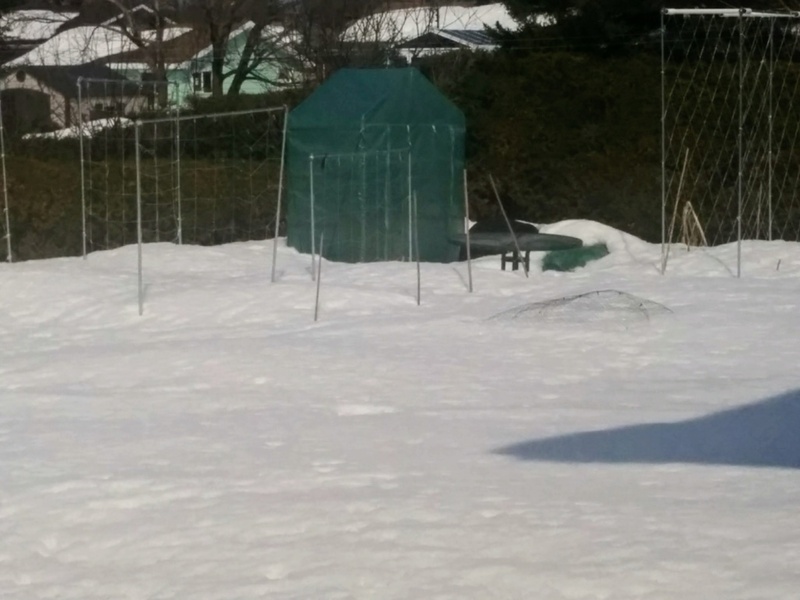 A couple of weeks ago the snow was as high as the table in front of the greenhouse and that table had a couple of feet of snow on top of it. Did some seed sowing today. Also did some more Winter Sowing. 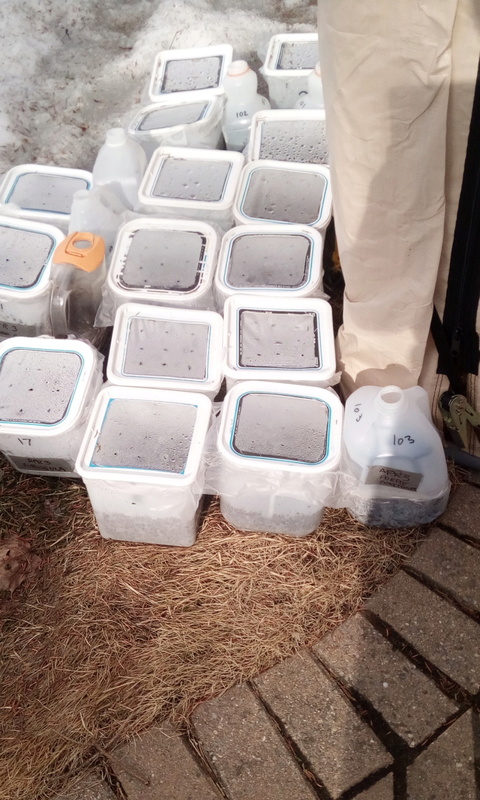 Currently have a total of 21 containers outside with mostly flower seeds and a few veggies.